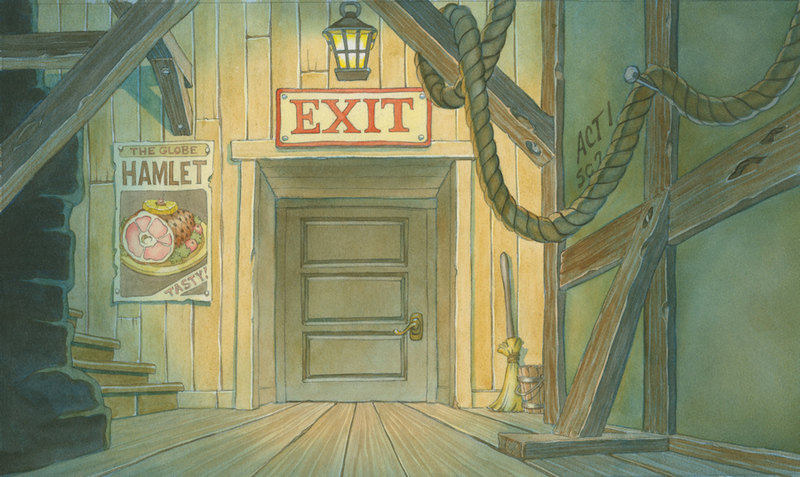 This is an original "color beat" concept painting from the Walt Disney Studios production of The Three Musketeers (1993). 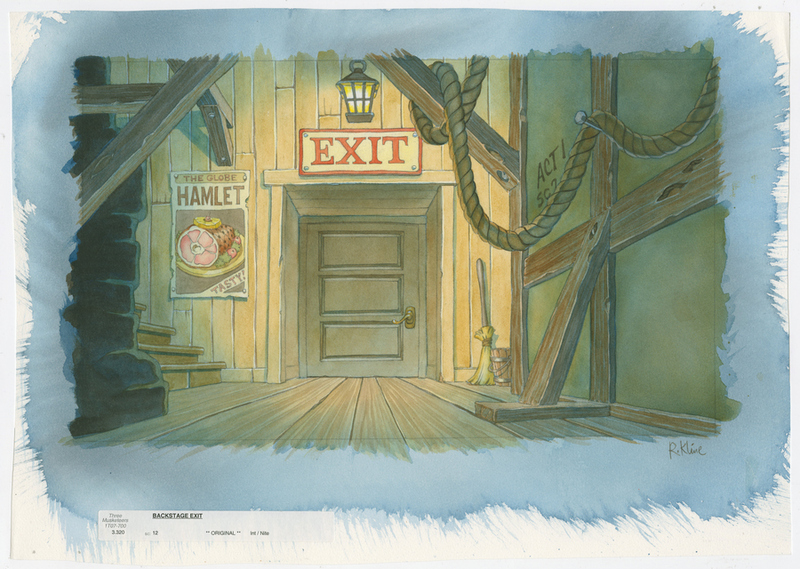 This hand-painted watercolor concept art features a backstage passageway to the exit of a theater, and was created at the studio and used during the production of the film. This painting was created by one of the film's art directors, Robert "Bob" Kline. A color beat like this would be used during production so that the director can create a standard for the color pallette used for a scene in the film. The overall measurements of the piece are 13.5" x 19" and the image itself measures 9" x 15.5". The piece is signed "R. Kline" in the lower right corner and also has a production sticker in the lower left corner designating its use in the studio.